Seven cities and towns in the Mystic Valley Public Health Coalition (MVPHC), including the Reading Coalition Against Substance Abuse, are banding together to launch a social marketing campaign aimed at preventing underage drinking and substance use among middle school-aged youth. The campaign comes after studies found that although parents and guardians would like their children to not use alcohol and other drugs, many expressed a belief that underage drinking is inevitable. Valley region is higher than the state average. substance use prevention, how to talk to their children, and why and how to talk to other parents as well. 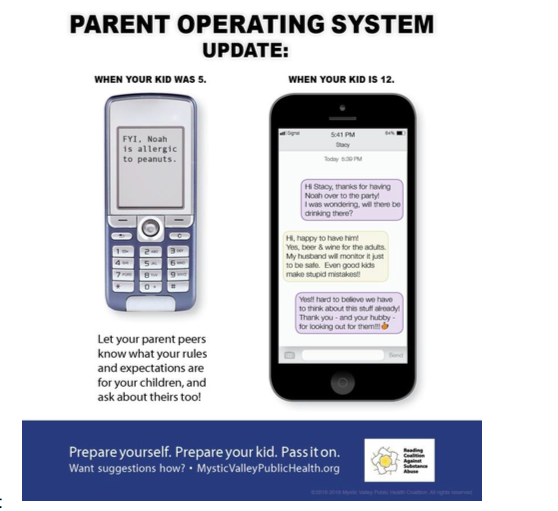 Parents will be educated on the substance use issues that youth are facing along with tools that parents can use to have honest conversations with their children. 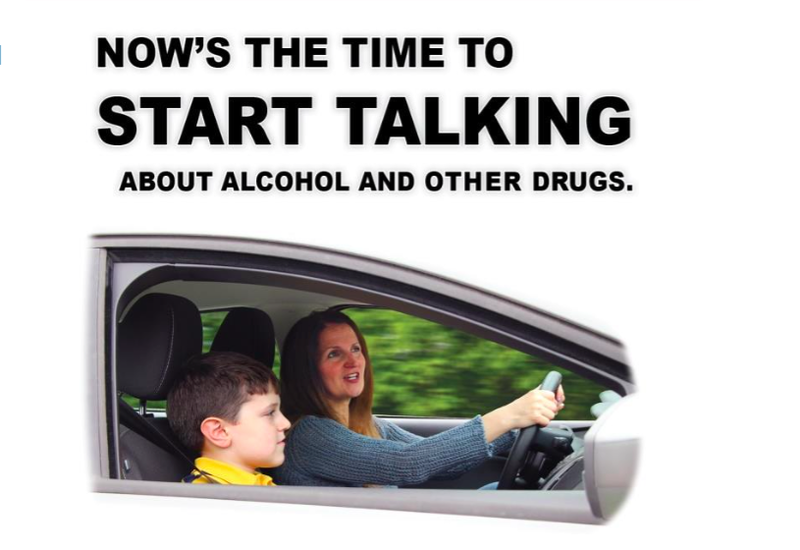 In these conversations, parents will be urged to communicate expectations, rules, and consequences of alcohol and drug use. Lastly, parents will be encouraged to speak openly with other parents about their family position on alcohol and drug use in order to build a culture that values a healthy community for children. The Mystic Valley Public Health Coalition (MVPHC) is a coalition of health departments representing Malden, Medford, Melrose, Stoneham, Wakefield, and Winchester. It was developed in 2004 to address Emergency Preparedness mandates from the Centers for Disease Control and Prevention (CDC). Since 2004, a strong system of collaboration has expanded efforts throughout the region, including a regional tobacco control grant affecting tobacco policy in the Mystic Valley. In 2013, the MVPHC received the Massachusetts Opioid Abuse Prevention Collaborative (MOAPC) grant, and in 2015 received the Substance Abuse Prevention Collaborative (SAPC) grant focusing on underage drinking and marijuana. The MVPHC is a collaboration of both grant-funded and non-funded community coalitions. Contact the MVPHC at mvroap@gmail.com or (781)-393-2449 or (781)-979-4132. Find them online at https://www.mysticvalleypublichealth.org/. Follow them on Twitter @mysticvalleyphc or on Facebook at Mystic Valley Public Health Coalition.